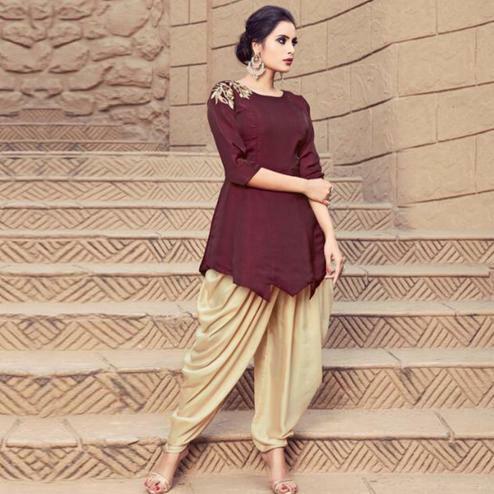 This brown floor length suit designed using georgette fabric has got front slit round style neck full size sleeves and heavy zari embroidered work in floral pattern at entire yoke wrist of the sleeves and hemline. This semi stitched suit has also got santoon bottom and chiffon dupatta detailed with golden lace border. Women can wear this outfit for family functions parties and occasions. Grab this ethnic piece now before it goes out of stock.